Hope to see posts in here very soon. I really hope to finally see a Royal Delta foal! 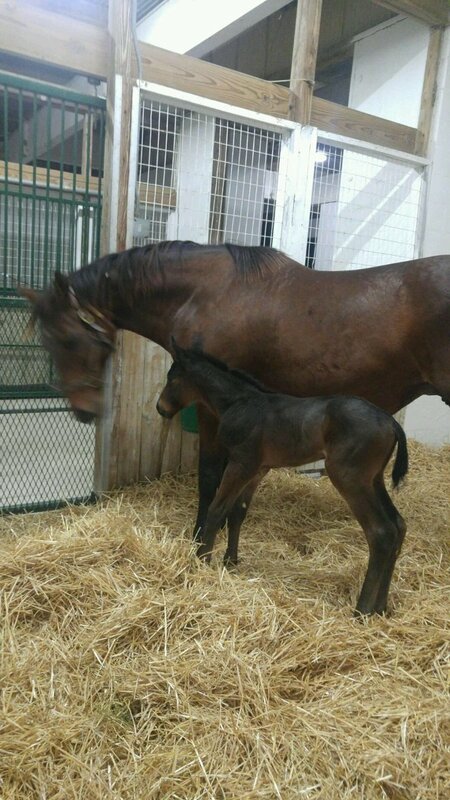 #CarpeDiem in 2017, a fitting New Years foal born today is the first foal by CARPE DIEM! well. that was sure fast. Very cute baby, but I'm glad he/she seems OK. I presume that this foal was born a bit early, since I'm under the impression that breeders don't try for the first 'baby' of the New Year. Breeding your mare too early in the year risks having your valuable youngster born before Jan. 1 actually arrives. BaroqueAgain1 wrote: Very cute baby, but I'm glad he/she seems OK. I presume that this foal was born a bit early, since I'm under the impression that breeders don't try for the first 'baby' of the New Year. Breeding your mare too early in the year risks having your valuable youngster born before Jan. 1 actually arrives. I received an email last week saying they(Winstar) were turning on the foal cams, on January 1. Isn't it supposed to be an American Pharoah? She has a "WTF just happened?" expression. Yep- and there is a 4th cam this year- looks like an aisle shot. This will be my 5th year watching. Wonder when we will see the first Honor Code, I cant wait! 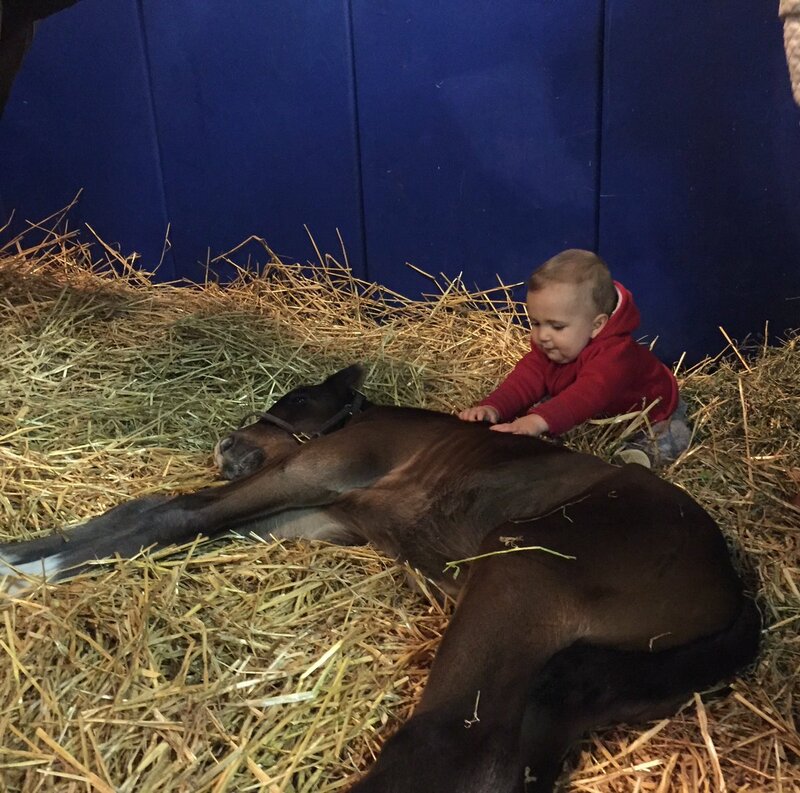 That Pharoah colt looks like Tiznow, at least in terms of markings. Very nice colt. He's a very good looking colt indeed. That MDO filly looks unimpressed to say the least lol! serenassong wrote: Wonder when we will see the first Honor Code, I cant wait! We have a mare in foal to him whose last cover was towards the end of February. She isn't likely going to be the first to deliver for him, but we're very much looking forward to what she produces when she ultimately does foal in the next couple of weeks. Have another one lined up to him this season also. Very excited about his prospects as a stallion.